Although I only retained Mr. Grozbean regarding a family law case which I was brought into by another party and not directly involved with, I can't say enough about how impressed I am with his level of knowledge and his professionalism. I have had experience working with other lawyers, both during my own divorce and with probate issues. Mr. Grozbean is outstanding and his knowledge of family law is unsurpassed. He is very ethical and not looking to "stir up issues" to make money, which unfortunately I have witnessed with other family law attorneys. Every time I've spoken with him, I have been extremely impressed with his knowledge and understanding of the process, his ability to pinpoint the little nuances involved and his stratigic thinking, He is extremely well respected by his peers!!! When I mentioned his name to another attorney, I could tell immediately they had a high level of respect for him. He is extremely responsive, anytime I call or email he responds the same day and usually within a few hours. He does a wonderful job explaining the pros/cons of the options and how he thinks you should proceed. If you are considering a family law attorney I believe you aren't going to find better than Stu!! Stu Grozbean is not only a superb attorney but a first-class gentlemen. Stu came to my rescue when I realized my first lawyer was in over her head. My ex-spouse spent seven years in case development with what I consider a sub-par firm. Stu came in and took control. Stu brought in high-caliber professionals that were no match for what opposing counsel could produce. Stu possesses an unsurpassed knowledge of famil law, is held in high esteem by judges and masters and will calculate opposig counsel's stragety before they make their move. He is very generous with his time and available 24/7. He understands the emotional and psychological mess of divorce and was supportive throughout the entire process. He has a sharp sense of humor, "does not blink" and will not be intimidated. He gave me great strength over three years of unwinding my marriage. I am extremely grateful to everyone on his excellent team. With Stu I have peace of mind, security and a suberb outcome. You'll go first class when you select Stu! Stuart has vast experience and in-depth knowledge of the law. In handling my divorce case, he patiently and thoroughly explained various available options and helped me pick the right one. I, like many people who go through messy divorces, was an emotional wreck and Stuart and his staff were always caring and extremely understanding, always ready to lend an ear when you needed one. Most importantly he was always accessible, took my calls if he was at the office and available, and promptly returned my calls every time if he was not. He knows his craft so well that some of the outcomes he predicted have actually come true! I highly recommend Stuart Grozbean and his firm. For anyone going through a divorce Mr. Stu Grozbean is the answer. Within minutes of my consultation with Mr. Grozbean in 2010 I knew right away he would be my attorney. He was very engaging and personable. One great characteristic I admire is his honesty and confidence that he will do everything in his power to fight for the best interest of his client. My case was a bit complex as my divorce was finalized in 2011. Little did I know that this case would reopen five years later. Without a doubt, Stu came to mind. Of course, Stu was familiar with the case and was eager to work up a mastermind strategy. My case has been a total nightmare I would not wish on anyone. There are just not enough words to express my gratitude for Mr. Grozbean, however Stu helped to soothe my worries with his funny sense of humor on several occasions and still remained focused on my case. Stuart Grozbean is definitely one Top Notch attorney! I highly recommend this attorney to anyone seeking a divorce attorney-He WILL fight for his client. Our lives as a family unit has changed dramatically in such a positive way and we will be FOREVER grateful for everything he has done. The moment I sat down with Stuart Grozbean, I knew I found the right lawyer. He was easy to talk to, he was caring, he was kind, he responded to my millions of questions and concerns, and made sure I understood what he telling me. Stuart made me aware of my options, he solved so many problems, and he helped protect my interests during this difficult process...the one I never wanted...a divorce. Stuart had my back during the entire time. I never felt alone. I always felt he was working so hard for me. He immediately kept me apprised of any situation that was going from the other side. He was amazing...and everything worked out...just as he promised. I highly recommend Stuart. I would recommend him to friends and family. He definitely made my divorce as amicable as possible. Stuart is an excellent professional, a really nice guy, he gets great results, and sometimes he's really funny! I was really lucky to have found and hire such a wonderful lawyer! Stuart Grozbean was truly an advocate for me during my recent legal dispute. I appreciated his no-nonsense approach to addressing the issues and his willingness to explore numerous avenues for defending the case. Both he and his associate, Jamie Maier, made it a point to keep the dialogue open between the lawyer and client which I appreciated. I also welcomed the access and responsiveness to Stuart and his team when I had questions to be addressed. More importantly, I felt Stuart believed in my credibility and was able to empathize with me given my unusual circumstances with the plaintiff. 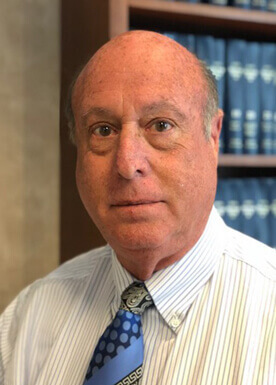 I would highly recommend others to utilize the legal services of Stuart Grozbean, particularly if you are seeking an assertive attorney who will truly represent your interests and explore all legal remedies possible. I am so thankful to Stu Grozbean. Stu was the ONLY attorney that was easily accessible and responded to me immediately. He humanized a legal world - a world I was loosing faith in the divorce legal community. Stu consulted with me during a time of crisis in my legal divorce case. He slowly and thoughtfully helped me sort out an action plan for moving forward. He helped me understand my choices moving forward in a simple, matter of fact manner -- and with compassion. During one of the darkest weekends of my life, Stu helped me climb out of what I thought was an impossible situation. That may sound dramatic, but it was dramatic and very traumatic moment in my life, and this man stepped up and just helped because is a Good person and because he knows his material. His understanding of the law, how to work with it, and how to handle relationships in the legal community gave me hope and, most importantly, gave me actual choices to pursue during a time when I thought my choices were gone. My advice. Just start with Stu Grozbean if you need an accessible, strategic, savvy, kind human being to help you get through the complexity and pain of a divorce. Mr Grozbean and his superb team, including his associate Christopher Castellano, provided absolute superior representation for my divorce case. Their expertise, experience, skill, knowledge, professionalism, integrity and honesty are simply unsurpassed. They assessed my situation expeditiously and were forthright in offering their best course of action how to proceed and anticipated risks and outcomes. They explained the various options and explained clearly why they recommended a specific strategy. They were responsive to all my inquiries in a timely fashion and patiently accomodated and answered all of my "play amateur lawyer" questions. They prepared me from the beginning factually, legally, emotionally and financially and they created no false hope or unrealistic expectations. They were thorough and accurate with every matter no matter how small or seemingly insignificant. They checked and double checked every detail, word, and document. After witnessing first hand how Mr Grozbean handled himself in action when he took on the opposition "one-on-one", it is clear that he is not only comfortable in that element but in fact enjoys the upper hand that his superior expertise provides. In addition, his partners have extensive access to incredible resources and expertise from their commercial and even criminal law colleagues. My case was particularly complex because I am a physician and was facing a daunting fight over alimony, assets, and associated accusations. Mr Grozbean and his associate, Mr Castellano, were unperturbed, gathered the facts, formulated the best strategy, and proceeded to expertly and confidently execute the plan just as if it were a walk in the park (which I know it wasn't). Although legal expenses for contested divorce cases can be expensive (as in any contested legal case), Mr Grozbean and his associates are most accomodating in trying to minimize unnecessary costs, especially if you are willing to do some of the time consuming leg work involved with obtaining and organizing the background information and numerous documents and records required in order to properly prepare your case. It is clear that Mr Grozbean has made knowledge of the law and best representation of his clients his life's passion and the best interests of his client is always his only priority. I strongly recommend that anyone facing a divorce lawsuit give serious consideration to securing legal representation from Mr Grozbean and his associate Mr Castellano. I have to say I have never been treated like I was the most important client someone has ever had! Stu made me feel like I was and am the only one that matters. He responds before the email, message or fax seem to be delivered. If you need someone to get the job done, this is your guy. Any day and anytime. Thank you Stu, for all you do!!!! Stu has a wealth of wisdom and experience to draw from, and believe me, he will not blink . He takes his clients very seriously, big or small. I feel protected and well represented by him.